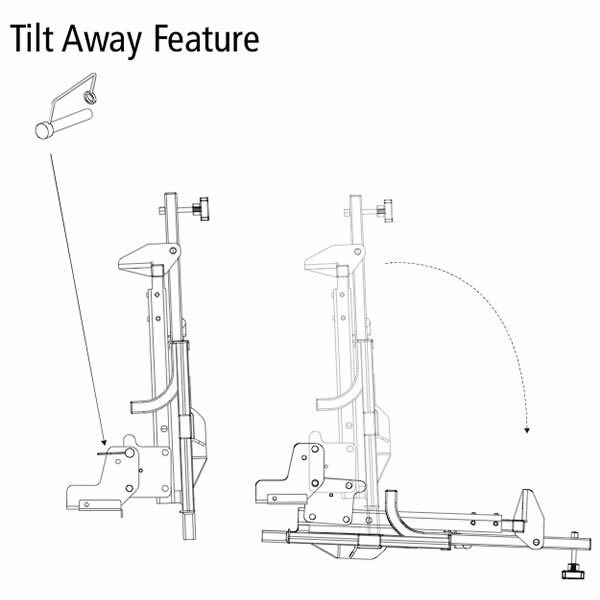 The Tilt N Tote Wheelchair Lift is a wheel chair lift used for transporting folding manual wheelchairs. 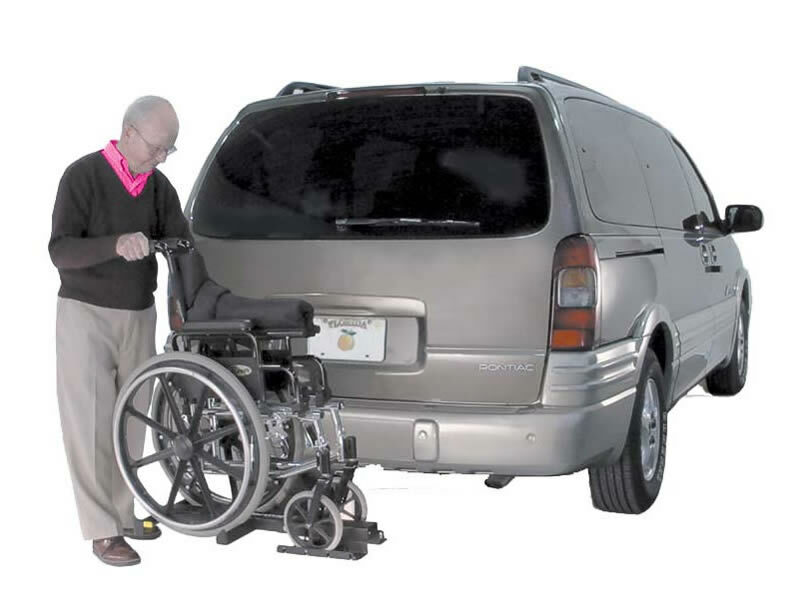 To use, just fold your manual wheelchair, place it on the platform, and tilt the platform into place. The hold down arm will secure your wheelchair. 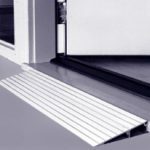 The lift has just one handle to use as a release mechanism for both loading and unloading. It’s a truly simple operation. 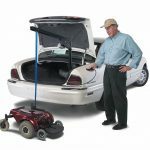 The Tilt N Tote Wheelchair Lift will also fold down so that you can access your vehicle’s tailgate or lift gate. 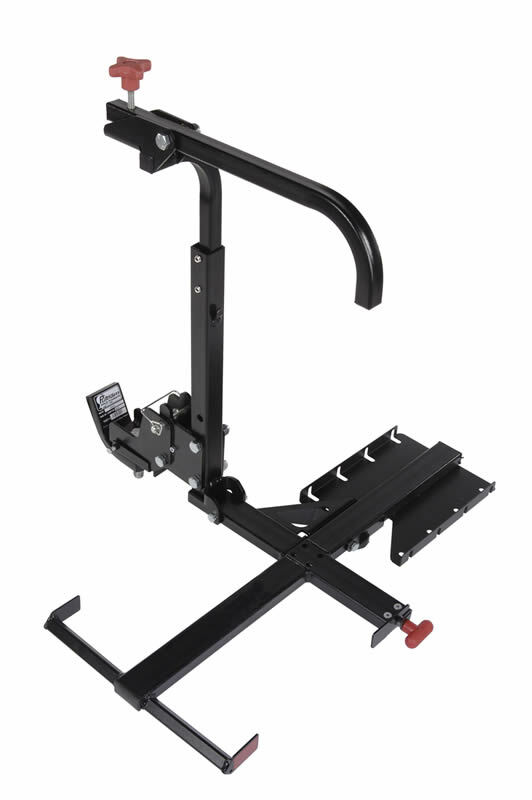 You can mount this wheel chair lift to Class I, II, and III hitches, as well as standard ball mounts, so this lift is very versatile.